Each day, people are getting more comfortable with the concept of product delivery. Largely, this is due to companies such as Schnucks. By taking safety, health control, cold chain management, delivery methods and overall efficiency with extreme seriousness, these companies have enabled the general public to trust this type of service. As a result, product delivery businesses such as Schnucks have grown incredibly in terms of both locations and reach. In order to help you learn more about this service, this guide will go over its most notorious features. Moreso than most, Schnucks is a company with the kind of experience that comes off a long-held tradition. It was established in 1939 as a relatively-small store in the St. Lous area. Due to the high-quality of its service, Schnucks expanded its business by opening more stores across the St. Louis area. In 1998, Schnucks introduced its Express Connection delivery service, which makes the company a true pioneer in the product delivery industry. Today, with more than 100 stores in five different states spread across the Midwest, it is one of the biggest privately-held supermarket chains operating in the United States. Dominating its eight main urban areas, the company is also the most important supermarket and product delivery chain in the St. Lous metro area. As previously mentioned, Schnucks currently operates from over 100 different stores spread across five states, providing its services to an even larger number of metropolitan areas. For that reason, it’s not possible to list all these areas on this short guide. However, it will list some of the most densely-populated and important areas where the service is provided. If you want to know whether your area is covered by Schnucks Delivery, please contact the company directly through its website. Clayton Road: 6600 Clayton Rd, Clayton, MO. Overland Plaza: 9074 Overland Plaza, Overland, MO. Arsenal Street: 5055 Arsenal St. St. Louis, MO 63139, USA. Big Bend Boulevard: 8650 Big Bend Blvd. St. Louis, MO 63119, USA. Ladue Road: 8867 Ladue Rd. St. Louis, MO 63124, USA. Lindell Boulevard: 4171 Lindell Blvd. St. Louis, MO 63108, USA. Loughborough Avenue: 1020 Loughborough Ave. St. Louis, MO 63111, USA. Manchester Road: 10233 Manchester Rd. St. Louis, MO 63122, USA. Forum Blvd: 1400 Forum Blvd, Columbia, MO. Barnes Blvd: 2206 Barnes Blvd, Cherry Valley, IL. Harlem: 1810 Harlem. Loves Park, IL 61111, USA. East Rockford: Rockford3134 11th Street. Rockford, IL 61109, USA. State Street: 6410 E. State St., Rockford, IL 61108, USA. Charles Street: 2642 Charles St. Rockford, IL 61104, USA. Hononegah Road: 4860 Hononegah Road. Roscoe, IL 61073, USA. Schnuck’s delivery fees fall into two different tiers: Over $35 and under $35. For all orders above $35, Schnucks Delivery charges a mere $5.99 for its two-hour delivery. For the one-hour delivery, this price changes to a still-affordable $9.99. On the other hand, orders under $35 require a fee of $7.99 for two-hour deliveries. Luckily for assiduous customers of Schnucks Delivery, there is also an annual fee of $149 (or a monthly $14.99 fee) for unlimited deliveries. When it comes to the time it takes for Schnucks to deliver its products to your doorstep, there are two main levels: One-hour and two-hours deliveries. Both these levels are differentiated by their price as one-hour deliveries are slightly more expensive than two-hour deliveries. However, it’s important to mention that Schnucks Delivery prices may vary according to various different factors, including the location, the distance of the delivery and various others. If you want to learn more about the delivery fees Schnuck’s has established in your location, please contact the company directly through its website. Alternatively, you may contact Instacart. Monday: 9:00 AM – 10:00 PM. Tuesday: 9:00 AM – 10:00 PM. Wednesday: 9:00 AM – 10:00 PM. Thursday: 9:00 AM – 10:00 PM. Friday: 9:00 AM – 10:00 PM. Saturday: 9:00 AM – 10:00 PM. Sunday: 9:00 AM – 10:00 PM. Thanks to the company’s partnership with Instacart, Schnucks is able to take and execute orders through a useful and convenient app. 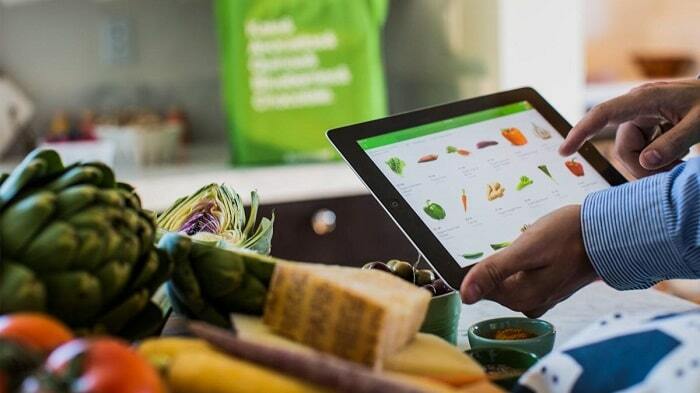 The Instacart allows Schnucks’ customers to browse through product options, place orders, track orders and contact the people responsible for the delivery directly. As if this was not good enough, the app also provides customers with the opportunity to get rewards. For example, all customers who first sign up for the app get their first delivery for free. Going through this article, it becomes apparently clear that Schnucks Delivery is an efficient and convenient service. Despite its high level of quality, it offers great value. Have you tried this delivery service before? If that is the case, please leave a comment below! Hey Buddy!, I found this information for you: "Schnucks Delivery 101: Areas, Hours, Fees". Here is the website link: https://all2door.com/schnucks-delivery/. Thank you.